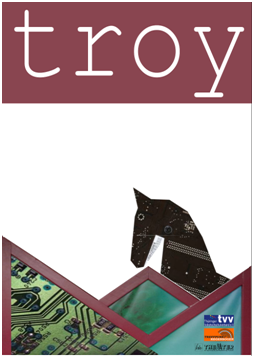 Troy is the name of a good secured platform of network activists who are well known and celebrated for their “Leaks”. Just recently they pulled off a momentous coup by uncovering significant information of a Big Player of the international economy system. But the empire strikes back. Harder. By all available means. Mercilessly. The network security is relative. The hunters become the hunted. Their data trace puts them in jeopardy. Who is friend and who an enemy? The theater group of the Regenbogen e.V. Ilmenau and die TheaterLeiterTheater AG developed a theater play which revolves around the topic violence and risk in the internet. The audience is invited to attend when the battle for Troy in our modern, on technology-based time erupts again. Hacker attacks, fake identities, the misuse of data and cyber bullying – all these are issues which we will encounter in TROY. The implementation of the performance created in collaboration with the theater group of the Regenbogen e.V., the AG TheaterLeiterTheater of the Kuko e.V. – TU Ilmenau, the adult education center (VHS) Arnstadt-Ilmenau and the Thüringer Volkshochschulverband e.V. .